Cardholder data security is a chief concern among retailers of all sizes. Every merchant knows that protecting cardholder data is critical to ensuring the success of their business and brand. The economic impact from a data breach can be astronomical and potentially reach millions in financial losses, threatening even large merchants with the prospect of bankruptcy for a breach involving large crops of data. 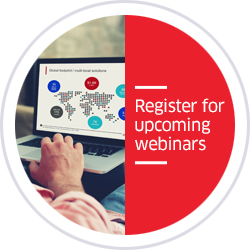 There are several threat vectors with implications to cardholder data. For example, sometimes data can be compromised while it is “in flight,” or being transmitted for processing. It is vital to protect data when it is vulnerable in this way. 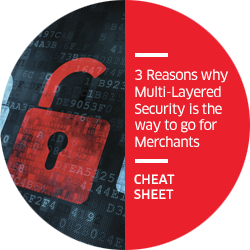 Without strong encryption to secure data transmission, a merchant could be exposing critical information that, if hacked, could result in a nightmare scenario.You must consider all points of exposure when working to protect cardholder data. Still, the same approach might not work for all retail environments. Ingenico Group is an advocate of secure transaction processing, point-to-point encryption (P2PE) and tokenization solutions, and we want to help you find the solution that is right for your business. When it comes to security solutions such as point-to-point encryption (P2PE) or Remote Key Injection (RKI), Ingenico Group’s methodology is to provide our retail and merchant customers with choices. Through our proprietary P2PE solution – Ingenico On-Guard – as well as through our partnerships with the leading security providers in the industry, we bring options to customers in order to help them select the right technology for their individual needs. The payments industry works overtime to ensure our networks remain safe, reliable, and secure. This video outlines the payments industry&apos;s cybersecurity initiatives. Payment security has evolved and so have the methods used to penetrate merchants’ systems. Being prepared to accept EMV chip cards is one way to improve payment security, but it’s important to look beyond EMV to combat all forms and causes of credit card fraud. Download the cheat sheet to learn more.